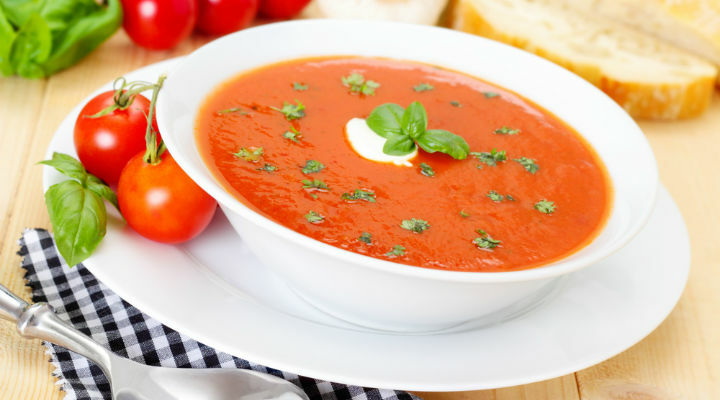 “Quick” and “From Scratch” are two words that describe this creamy tomato soup recipe. Now, there is a difference between this soup and one that you make from freshly picked tomatoes, roasted in the oven and pureed. But sometimes we just need a faster way to make something delicious. Step 1: In a large pot, melt butter. Add flour and whisk to combine. Step 2: Add 1 cup of milk and whisk until smooth. Cook over medium heat until thickened, and then add another 1 cup of milk. Cook and whisk until smooth and thickened, and add remaining half cup milk. Step 3: Add garlic, basil, tomatoes, tomato paste and salt. Stir in Parmesan cheese. Cook 5 minutes on medium heat, stirring often, so flavours can blend together. Step 4: Add sugar, pesto and Parmesan if desired, tasting as you go. Step 5: Optionally, puree with immersion blender until smooth.